Andrew Newell Wyeth was a visual artist, primarily a realist painter, working predominantly in a regionalist style. He was one of the best-known U.S. artists of the middle 20th century, and was sometimes referred to as the "Painter of the People", due to his work's popularity with the American public. On January 16, 2009, Andrew Wyeth died peacefully in his sleep at his home in Chadds Ford, Pennsylvania, after a brief illness. He was 91 years old. The cause of death is not known. 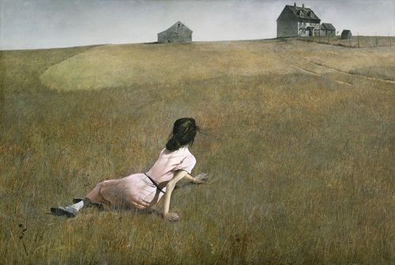 Listen to the NPR broadcast about Wyeth here.